The game might need a new ban wave soon. 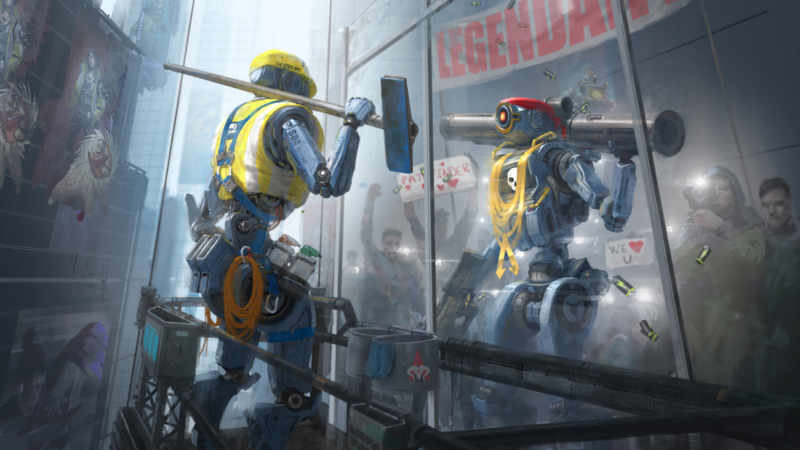 Hackers in Apex Legends have apparently found a way to bypass the game’s anti-cheating software with less blatant cheats, players have reported on Reddit. The author of a post on the Apex Legends subreddit wrote that soft cheating is on the rise in the game, and that “cheaters are now reducing their aimbots to levels indiscernible to an anti-cheat algorithm, but obvious enough from the receiving end of it.” They wrote that despite last week’s ban wave that Respawn rolled out, cheaters mostly in Asian servers are back in the game with third-party software that’s undetected by Apex’s Easy Anti-Cheat. The banwave in the last week made games almost bearable to play on Asia/SG servers. The chance of encountering a cheater dropped to about 1 in 10 games. However since about 12 hours ago there has been an incredible surge of cheaters once again. According to the author, “when spectating them you can see the aimbot locking on, but their cheats give a buffer of missed shots to fool the accuracy counter.” Such a behavior makes it look like the player just has a good aim, which might leave opponents wondering if they’re really cheaters or just exceptional players. This might end up with fewer people reporting them, which then drops their chances of being banned and increases the number of games they ruin while using cheats. Another player commented that they’ve spotted players in cheater forums saying they haven’t been caught with updated cheating software and that many users play dumb while being spectated after a kill to not raise suspicion. “We desperately need kill cams or for them to hide the spectator indicator while they work on kill cams,” they wrote. If soft cheating is really happening in Apex, Respawn might have to either improve its anti-cheat software or implement a new way for players to review suspicious eliminations. A kill cam could be the first step toward that, but there’s no estimated date of deployment for that feature.